It used to be a territorial domain of the Mamanuas and the Manobos. When the people of Austronesian descent came to live with the aborigines, the land was named Saliagao , which later became Surigao by the inhabitants. In 1960, Surigao was split into 2 provinces: del Norte and del Sur. The province of Surigao del Sur became the 56th province. Now, it has 2 cities, Tandag and Bislig and 17 municipalities. Found at the northeast portion of Mindanao, Surigao del Sur belongs to CARAGA region. It is bordered by Agusan del Norte and Agusan del Sur in the east, Surigao del Norte in the north, the Pacific Ocean on the East and Davao Oriental in the south. Throughout the year, Surigao del Sur experiences rainfall. Rainy season is from November to March. July to October is the dry period. September is the driest month while January is the wettest. 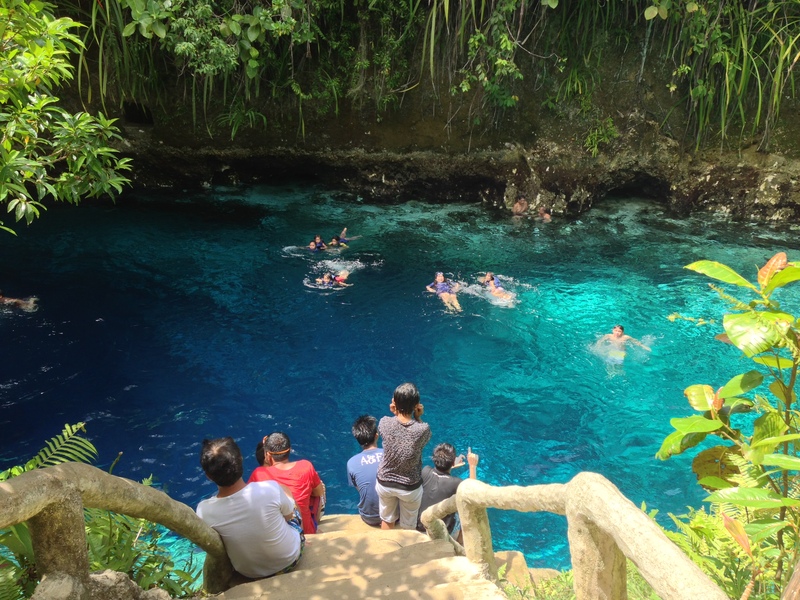 This province has two natural wonders which are worth the visit: The Enchanted River in Hinatuan and the Majestic Tinuy-an Falls in Bislig City. You can reach Hinatuan and Bislig in several ways. 4. Land trip. The road from Butuan to Lianga is relatively good. Getting in and around Mangagoy in Bislig is relatively easy. There are tricycles and single motorcycles (habal-habal) which can be rented. For Tinuy-an Falls, arrange with a habal-habal driver if you want to fetch you at your hotel and bring you to Brgy Borboanan. Habal-habal is also available at the Hinatuan Bus Terminal if you want to go to the Enchanted River. Most of the time, these drivers would offer you a package tour for both sites. The rates are standard and agreed upon with the local tourism agency. 1. It is possible to visit The Enchanted River and Tinuy-an Falls in one day. This is recommended if you plan to have a weekend get-away. 2. Bislig City’s commercial district is in Mangagoy. Most of the accommodation are located in Mangagoy. 3. At The Enchanted River, be sure to catch the feeding time at 12nn. People can see a number of fish go up the surface of the river. 4. 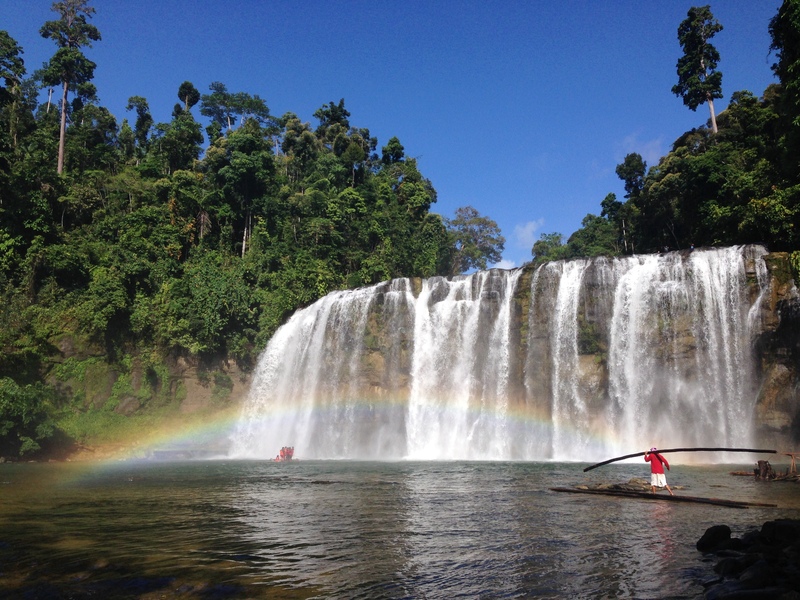 Go to Tinuy-an Falls before 8am and see a rainbow in front of the major cascade. 5. If you plan to travel using the Bislig – Trento road, it is safe to take the day trip or early afternoon trip.